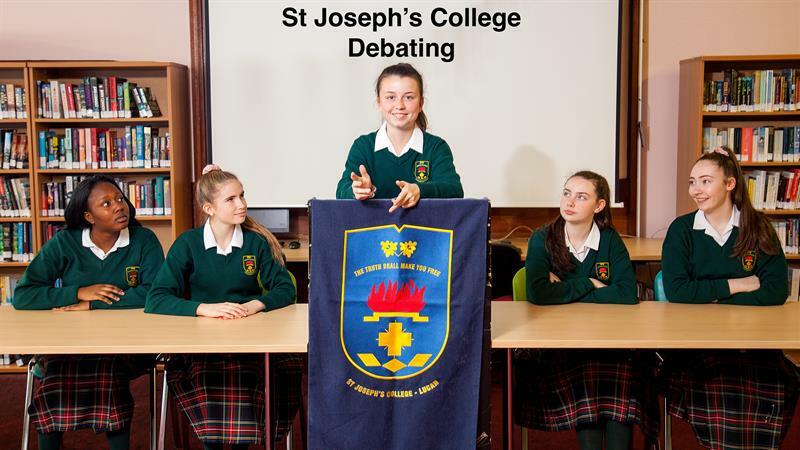 Students at St Joseph’s College are encouraged to participate in Public Speaking and Debating throughout their time in the school. Students take part in debating competitions across all languages at local, national and international competitions. In 2016 Niamh Boland, Jennifer Gillen, Lauren Moore and Claire Williams reached the All Ireland Concern Debating Final and were highly impressive in their oral literacy. In the same year 38 TY students competed in the Public Access to Law Competition and qualified to represent Ireland in the World Public Access to Law Competition which took place in New York City in November 2016.